What makes casino games so exciting and thrilling to play? What are the psychological factors in gambling that compels us to bet? Apart from psychology, what are some of the key features that makes casino games exhilarating? 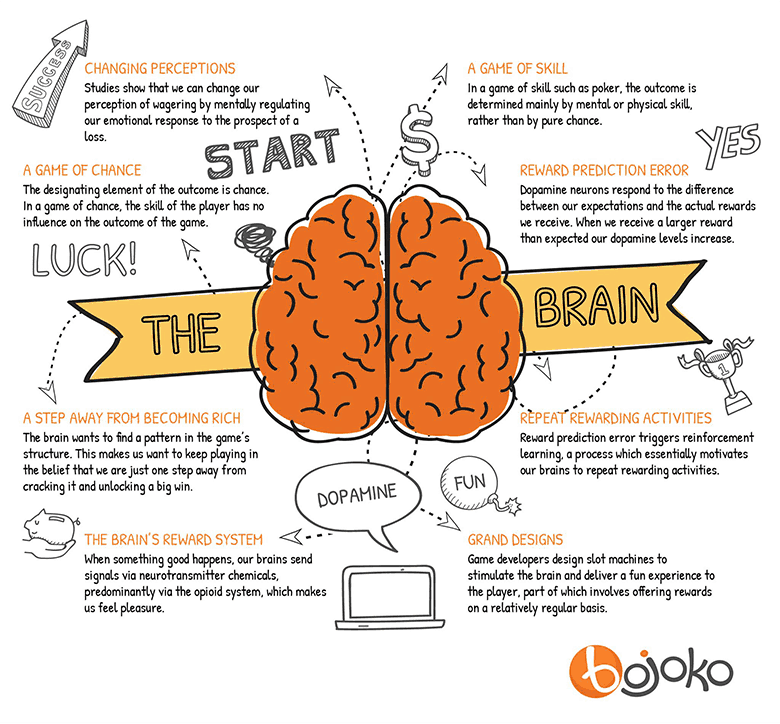 We drill down to these intriguing questions and many more in a comprehensive article on Bojoko.com about the psychology of casino games. For a quick glance through, we have created you this infographic on Graphs.net to summarise the psychology of casino games article. We do hope you will head over to Bojoko.com to check out the full article – and feel free to share it with your friends!